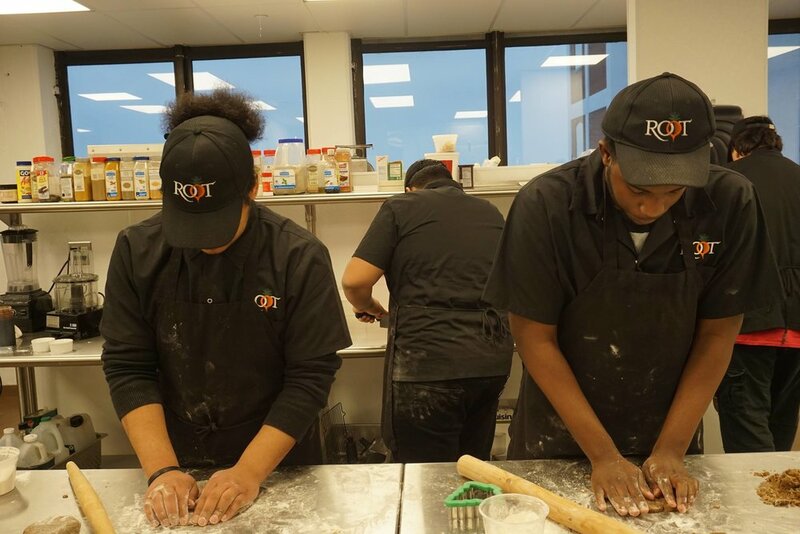 Root offers a rigorous 12-week, 200 hour, workforce training program that uses food preparation and service as its vehicle for teaching career and life skills. In the kitchen at Root, and those of our partner restaurants, hotels and caterers, Program Partners learn and practice safe food preparation and handling, and many other direct skills that they will need to succeed. They attain industry-certified credentials that give them a sense of accomplishment - and an advantage in seeking employment. In Root’s classroom they learn professional preparation and develop maturity and life skills that will help them to secure and thrive in their first and subsequent jobs.